Good news: Even if you have bad credit or no credit history at all, at ElcLoans we can help you gain access to emergency cash as quickly as possible with a simple solution - online payday loans. A payday loan (also known as a cash advance) was designed to provide people with money fast and without unneeded hassle. In fact, it's like an advance on your wages without having to annoy the boss. 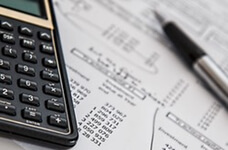 Whether you're faced with an unexpected bill, need to make an emergency home or car repairs, or have simply mismanaged the month's budget - it will cover you for two to four weeks and is expected to be repaid on or just after your next paycheck. Have you already tried to take out a loan from the bank or other large lender and were declined because of unrealistic requirements? Then using our service may be just the solution you need! Submit your loan request to tap into a network of multiple direct lenders, poised to make you an offer of up to $1,000! All you have to do is go to our loan request form and enter some basic information about yourself - this includes your name, address, financial status, and the amount you wish to borrow. This will take only a couple of minutes. Once submitted, our system will try to connect you with one of the numerous direct lenders willing to consider your application. You can be connected within just 3 minutes! Once connected, you may be asked to provide further details to the lender. At this point, you can google for reviews on this particular lender to see if you want to work with them. When you have completed this step you will know within minutes whether you have been approved or not. At this stage, you will be made an offer close to the amount you requested and provided with the loan agreement. It will include all of the terms and policies associated with the loan. If having read this you want to go ahead, all you have to do is digitally sign the agreement and the lender will deposit the funds into your designated bank account the next business day in most cases. If you have a poor credit history - don't be put off, bad credit does not automatically disqualify you from being approved. Many borrowers in this position have been issued short term loans through our network. Lenders appreciate that even those who have struggled in the past deserve access to emergency loans. While they will never promise no credit check - all lenders will pull some kind of history - this is not the overriding factor. They will be keen to know about your employment, income and overall financial status. If you can demonstrate the ability to pay the loan back, you will be in a strong position to approved. Note, no credit check is done until you are connected with one of our lenders. ElcLoans company itself does not have access to your report. We just do our best to provide you with the best customer service possible. 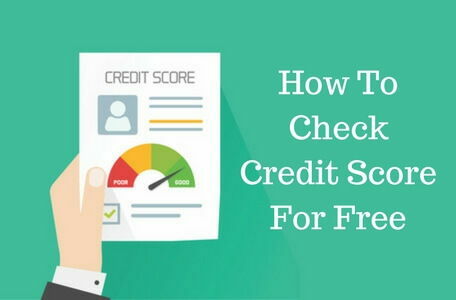 It is worth noting that many websites may promise no credit score check, but in most cases, they are not being honest with their customers or may even be bending the rules. 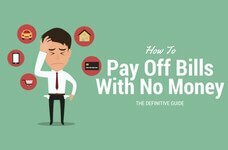 Read https://www.debt.org/credit/loans/bad/ to learn more about applying with bad credit or no credit. ElcLoans and our network of online lenders work within US federal and state law and don't mislead users! If you are looking for urgent loan decision because you need cash fast - you have come to the right place. Once everything is submitted you may be connected to a lender in less than 3 minutes, which is one of the quickest responses for payday lending on the internet. While many sites might promise "instant approval" - this is not realistic. Every reputable lender has to verify your details and carry out some basic computations. This is for your and lender's benefit, as they will need to determine a practical amount to offer you with fair terms. This must obviously meet your current financial situation, giving you the best chance to pay the loan back without any issues. You may find this term to be just a marketing ploy. When it comes down to it there are still many more steps left to complete. When you are connected with a lender from our network, you may be asked to provide further details and verify this with documentation. Although there may be no faxing involved, since these days you can download statements from online accounts or use your home scanner, this will still take a bit of time. However if you come prepared it is still much faster than going to the bank, storefront lender or other large institution that can take days for everything to be finalized. Once the loan agreement is signed most people can expect the funds in their account the next business day. It doesn't get much faster than that! Our lenders do not provide loans to anyone under the age of 18 and who is not a legal permanent resident of the United States. You must also be gainfully employed or self-employed and be able to provide proof of income, of at least $1,000 per month. We understand that some of our users are unable to work due to disabilities. Receiving Social Security or Disability income is still acceptable in most cases. You will also need at least a basic checking account in your name that is in good standing. This is where your loan will be deposited and the repayment taken. Be a legal United States of America citizen of at least 18 years of age. Have a stable income of at least $1,000 per month. Learn more about basic requirements, interest rates and possible fees from our [How It Works], [FAQ] and [Rates & Fees] pages. Remember - no loan is free. A cash advance will come with a single finance charge, but also other potential fees if you miss the repayment date. Submit your request right now, get approval decision and you could have cash tomorrow!